Band directors are invited to nominate high school students for an honor band event on April 14, 2020 from 9 a.m. - 7 p.m. at Grand View University. This is an all-day event, with an evening concert starting at 6 p.m. We look forward to you and your students joining us for this event! The nomination process opens on January 1, 2020. Directors may nominate as many students as they wish; a minimum of three students from each school will be selected. Make sure you nominate students from all grade levels (9th, 10th, 11th, and 12th). Fill out the online nomination form to the best of your ability, providing as much information about each student as you can. Your ranking and rating of each student’s skills is very important. Please be sure that those you nominate will be available all day and in the evening for this event. Nomination deadline is February 19, 2020 at noon. 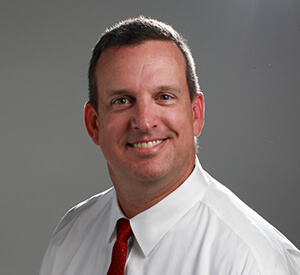 John P. LaCognata was appointed Director of Bands at the University of South Dakota in 2017. At USD, his responsibilities include conducting the Symphonic Band; teaching undergraduate conducting and applied trumpet; teaching graduate courses in conducting and wind repertoire; administering the USD Quad State Marching Band Competition, USD Honor Band Festival, USD Band and Orchestra Directors Institute, and USD Summer Music Camp; and overseeing the entire band program. 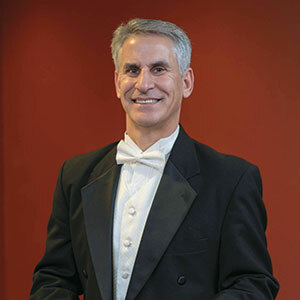 Dr. LaCognata received his Bachelor of Science in Music Education from the University of Illinois (1986), Master of Music in Trumpet Performance from Auburn University (1989) and Ph.D. in Music Education with an emphasis in Wind Conducting from the University of Florida (2010) where he was awarded a Doctoral Teaching Fellowship. Prior to his appointment at USD, Dr. LaCognata has held a variety of teaching positions throughout his 31-year career as a music educator. At the collegiate level, he served on the faculties of the University of North Carolina Wilmington, Iowa State University, Louisiana State University, and Southeastern Oklahoma State University. At the secondary level, he held positions at Winter Park High School (Winter Park, Florida), Cypress Creek High School (Orlando, Florida), Tavares High School (Tavares, Florida), and Hillcrest High School (Country Club Hills, Illinois). Dr. LaCognata has also been very involved in community bands, conducting the Wilmington New Horizons Concert Band (2010-2017), and co-founding and serving as the artistic director and conductor for the Wilmington Symphonic Winds, a regional professional-level wind ensemble (2014-2017). Concert bands under Dr. LaCognata’s direction have performed at the Bands of America National Concert Band Festival in Indianapolis, Indiana; the Florida Music Educators Association Conference in Tampa, Florida; the North Carolina Music Educators Conference in Winston-Salem, North Carolina, the South Dakota Bandmaster Association In-Service Conference in Brookings South Dakota; and most notably, the 60th Anniversary of the Midwest Clinic in Chicago, Illinois in 2006. Marching bands under his leadership have made appearances at the Autozone Liberty Bowl in Memphis, Tennessee; the Blue Cross Blue Shield Fiesta Bowl National Band Championship in Phoenix, Arizona; and the Sylvania Alamo Bowl in San Antonio, Texas. 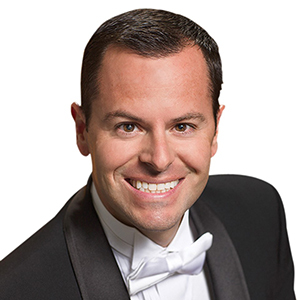 Dr. LaCognata is an active conductor, adjudicator, clinician, and performer. He has served as a guest conductor for bands and honor bands throughout the United States. His professional affiliations include the College Band Directors National Association, the National Association for Music Education, the International Trumpet Guild, the South Dakota Bandmasters Association, and the South Dakota Music Education Association.